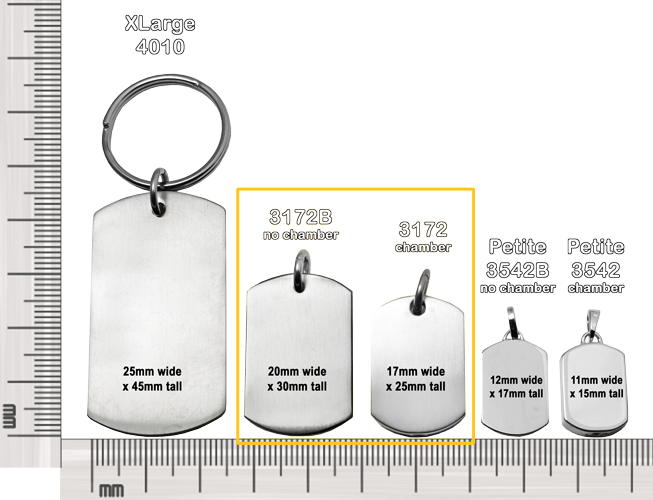 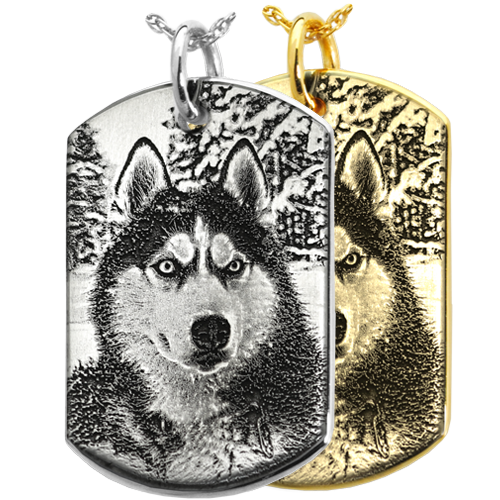 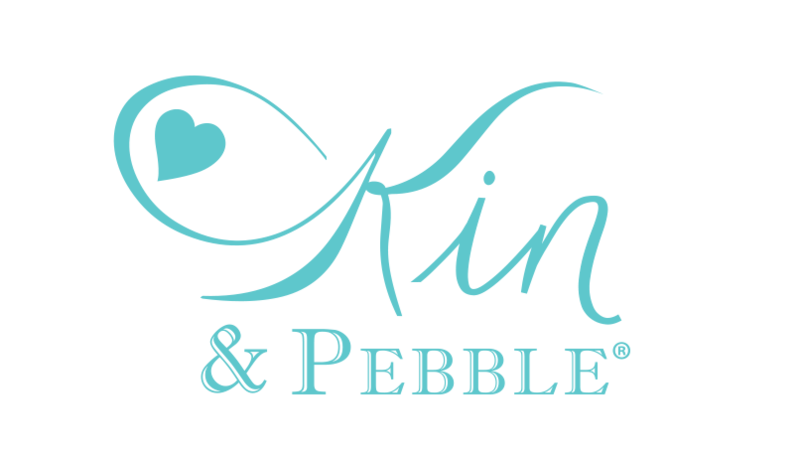 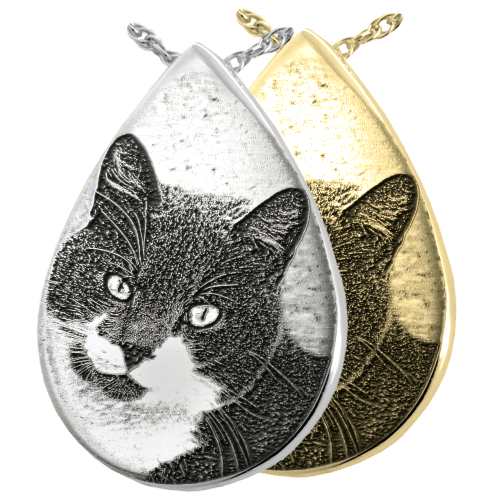 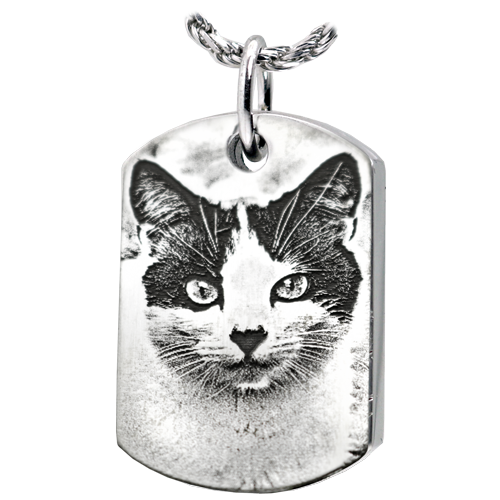 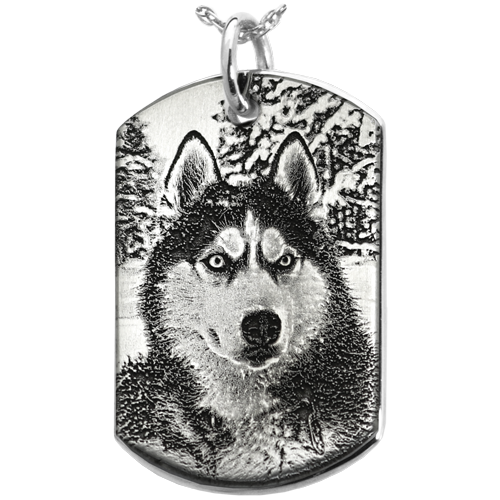 Our highly popular dog tag now comes in a variety of metals including stainless steel in both chamber or flat styles. 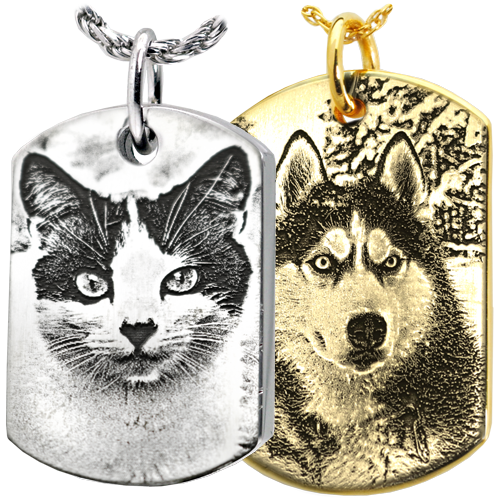 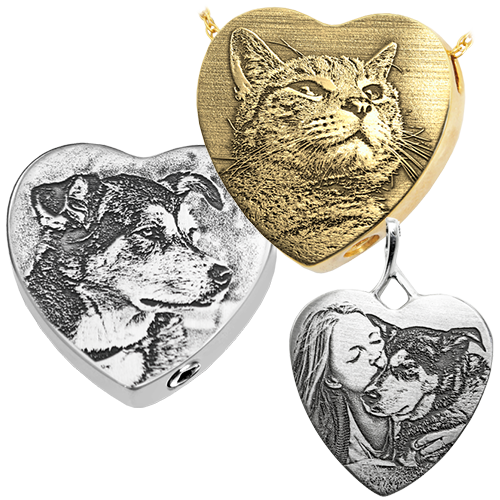 More options to personalize the back with your choice of block or script text, nose or paw print, photo, handwritten note or line drawing. 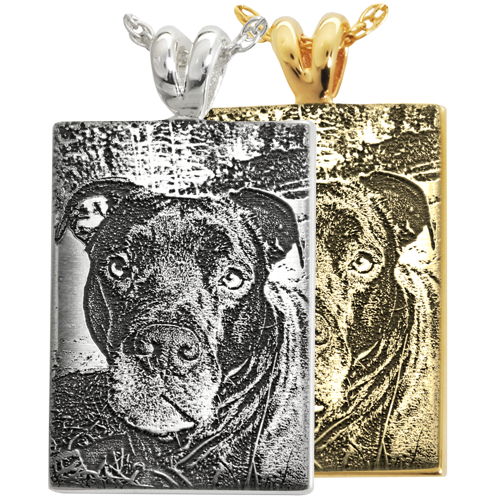 Allow additional 1 business days for photo back or print back options.